1. What are the current landing patterns? The FAA establishes standard traffic patterns. An aerial view of the pattern superimposed on the airport and community environment is published in the pilots guide here. 2. Why do some planes fly right over the neighborhood and others fly over the road? The FAA establishes standard traffic patterns and publishes approach procedures and noise abatement procedures in the AFD and other documents available to pilots. When were the landing/takeoff patterns last evaluated?  The airport traffic patterns were last evaluated as part of the Montgomery County Airpark Federal Aviation Regulations Part 150 Study conducted by the FAA in the early 1990s. 3. A 1973 change moved flight patterns to the less-developed east side of the Airpark. Now that the east side is more developed, why don’t they change the flight patterns again to equalize the impact of takeoffs and landings on both sides? The flight pattern change would have to be reviewed by the FAA. However, before requesting a change of the pattern the Revenue Authority must inform the community on the west side of the airpark about the pending change and potential impacts on their communities. If presented to the FAA there are several things that would be considered. For example, an environmental determination is usually required for pattern changes under 3,000 feet, and security agencies would have to review the potential impact on the airspace over DC. Ultimately neither the Airpark nor the Revenue Authority has control over whether the FAA determines that a flight pattern change is warranted or permissible under the conditions of operation at the Airpark. 4. What will happen if landing patterns are changed? If the airpark were to revert to a standard pattern planes would continue to fly over current areas and they would also begin flying over areas that they currently do not fly over. Any landing pattern changes can only be made by the FAA. If approved then flight patterns would continue to allow planes to fly over existing neighborhoods as well as neighborhoods over which planes currently do not fly. This could significantly increase the number of Community members filing complaints about noise. 5. How can one plane use one pattern and another use a different pattern? The FAA establishes standard traffic patterns for airplanes to orderly arrive and depart the airport. All aircraft arriving to and departing from the airport should adhere to the published procedures. Higher performance aircraft may fly slightly higher and further from the airport to accommodate their flight characteristics. 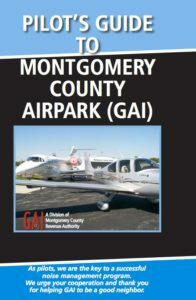 These patterns are published in the Pilot’s Guide to Montgomery County Airpark and are available for review by the Community. 6. Why do some planes come in so low? The FAA publishes standard traffic pattern altitudes and instrument approach procedures. All air traffic should be adhering to these procedures. Landing aircraft will typically begin their descent from the traffic pattern 1000 feet above the ground to make a controlled and stabilized turning decent to the intended runway. Final approach should be above the standard 3-degree glide path as indicated by the VASI. An instructor with a student may make a closer pattern when simulating emergency procedures. See further discussion of VASI under the Airpark Safety section question number 5. 7. What are the altitudes on take-off and landing? Do they vary with load and weather? Aircraft climb to and descend from FAA standard traffic patterns or published instrument approach procedures based upon performance characteristics published by the aircraft manufacturer. Descents are discussed in Item No. 8. Yes, aircraft performance varies with load, temperature and humidity. For example, on a hot day, the aircraft performance will be slightly lower and may require a longer time to reach traffic pattern altitude whereas on cold days performance increases and the time will be shorter. Regardless, the pilot is responsible for assessing the performance of the aircraft and ensuring the safety of flight. 8. Why aren’t specific landing patterns mandatory for all pilots? FAA establishes standard traffic patterns and approach procedures and publishes this information in the Airport Facility Directory. All pilots are trained in and are required to comply with those procedures. The traffic patterns are also published in the pilot’s guide that is available on the Airpark web site. 9. What would happen if the patterns were lifted to 2000’ or 2500’? Would there be a reduction in noise? The FAA establishes the standard traffic pattern altitude which at the Airpark is 1000 feet Above Ground Level (AGL) for piston aircraft and 1500 feet AGL for turbine engines. The FAA would need to approve a change to the pattern altitude. The FAA would review the request based on what concerns the Community presents for the FAA to address. The FAA makes a distinction between noise and safety that the Community does not. When the Community hears a loud plane and is disturbed by the noise there is also a concern that the plane is loud because it is operating too low or in an unsafe manner. The FAA considers noise to be a normal function of plane and airport operations and so long as the pilot is following established flight standards for the type of aircraft being operated, then there are no safety concerns to be addressed. The 1000 feet and 1500 feet altitudes have been determined by the FAA to be necessary and appropriate for aircraft operations at this airpark.